Hiring a professional skipper for your sailing trip always sounds like a good idea. 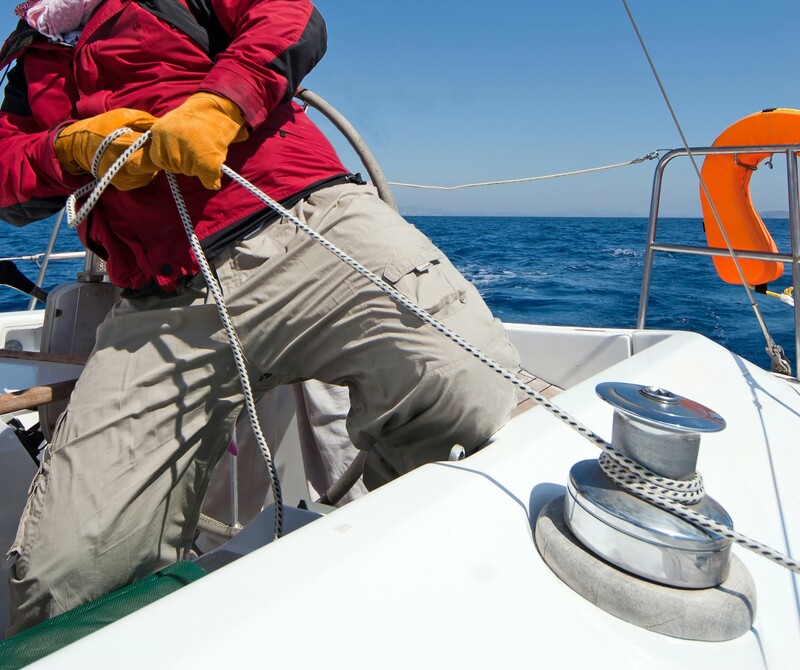 Regardless of your sailing skills, holidays are much more comfortable and relaxed if a professional is onboard. 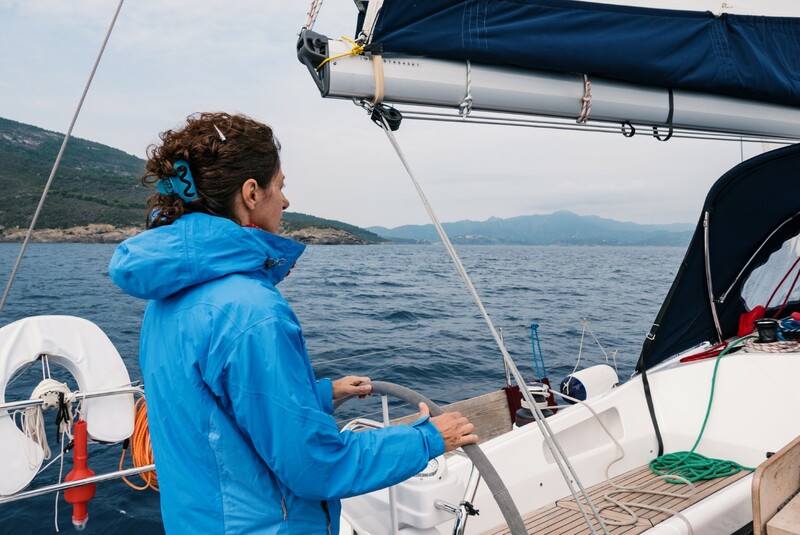 Besides sailing, professional skippers possess local knowledge not only about the sailing area and weather patterns, but also about places to go to. A skipper should be at the base before the clients arrive to do a technical check-in if possible. After an introduction at the office in the base, the skipper has to show the way to the boat to clients and help them accommodate. Once everyone has found their place aboard, the yacht skipper has to do the so-called ‘safety briefing’. In a few simple words, the skipper should explain where life vests and fire extinguishers are located, as well as safety procedures in case of emergency. The rest of the briefing is about tips and tricks for a safe and comfortable stay on the yacht. The following conversation is usually about the route planning. The skipper should match clients’ wishes and desires about sailing destinations with possibilities regarding distances and a weather forecast. A good skipper should explain the current situation at sea and at the destination in advance, as well as give own suggestions and advice if the clients are not completely sure where they would like to go. 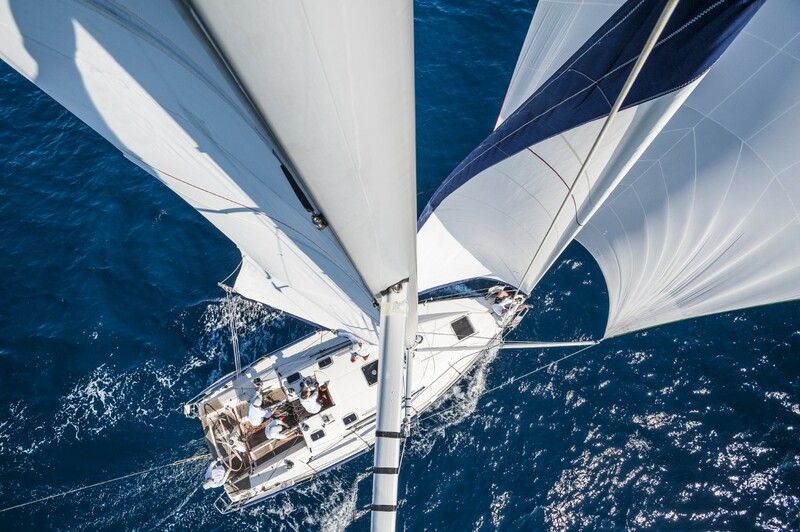 Through this conversation, the skipper should feel the attitude and mood of the clients which can be useful when choosing a tempo of sailing and type of destinations. On the other hand, the clients have a chance to meet the skipper in person and establish an initial communication relationship. Even though clients have a right to demand some routes or destinations from a skipper, it is the skipper who takes the responsibility and gives the final decision about navigation and route planning. In case of any dispute or misunderstanding, the issue has to be solved in a friendly atmosphere and in accordance with the base if necessary. The skipper has to be patient, polite, tidy and neat, and always willing to answer clients’ questions about the yacht, navigation, sailing or destination. Evenings are perfect for planning the next day, while the final decision is going to be made in the morning before casting off to the next destination. 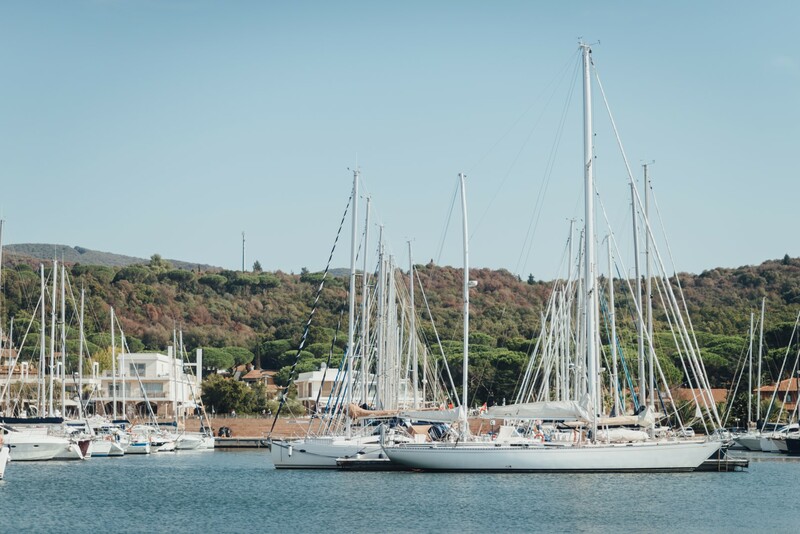 Good skippers should be able to provide the best spot to stay overnight – either at the anchor or berthing at the marina or port. This procedure sometimes considers a friendly tip to the marina or port staff, so clients have to be aware of that. Furthermore, good skippers should always be able to book the table at the best restaurant or bar for their clients. The clients have to be ready for dinner on time because restaurants and bars in the high season are usually quite hectic. Regarding provisioning for skippers, clients have to provide enough food and drinks for them. That considers at least one warm meal a day along with enough water to drink during the day. The most common way to do it is if skipper eats and drinks together with clients. Sometimes clients insist on their privacy, so they should provide skipper either money for meals or enough food in a yacht’s refrigerator if they do not want a skipper with them. Skippers should stay away from alcoholic drinks and beverages at least until the yacht is safely moored, and they should make sure they had enough rest for upcoming duties. Therefore, skipper must be left alone for some private free time at the end of the day. That means that skippers should not party all night long neither on their own nor with clients. Clients sometimes demand unusual (illegal) favors from their skippers, such as providing narcotics or prostitutes on the yacht. Such demands are considered unacceptable, so skipper does not have to respond to them. Where does a skipper sleep? Skippers sleep with one eye (and ear) open whenever spending the night at the anchor. It is friendly and polite to offer a skipper one shift of night watch off when anchored. Skipper’s and clients’ biorhythms match very easily if the skipper is provided with a separate room. It is easier on the catamarans because skippers can use front crew cabins, also known as ‘the graves’, for their size and the level of comfort. Whatever the size of those cabins, skippers can retire to their own beds whenever they feel appropriate. The situation gets more complicated on monohulls. Clients usually take all rooms, so a skipper is sentenced to sleep in the saloon. That means that the skipper is the last to go to bed and the first to get up. Sometimes it brings the skipper to unpleasant situations, especially if the clients want to party or stay up late in the night. The deal about the skipper’s accommodation has to be done prior to casting of the base. The skipper is not obliged to cook for the clients neither to do the dishes. If they do one of those things, it should be considered an added value rather than the duty. On the other hand, skipper has to wash the deck whenever possible, as well as control the water consumption and load fresh water whenever needed. I feel it is self-explanatory that the skipper has to take care of all navigation, power, water and sailing systems on board. The interior, furniture and inventory are under clients’ responsibility. After all, there is a deposit left at the base for that purpose. The skipper has to not only keep their clients happy and safe at all times of the sailing trip, but also bring them back to the base on time. Prior to the casting off the base, the skipper has to inform the clients about the charter company’s policy about the arrival back to the base, so that should not be an issue on the last day of the trip. 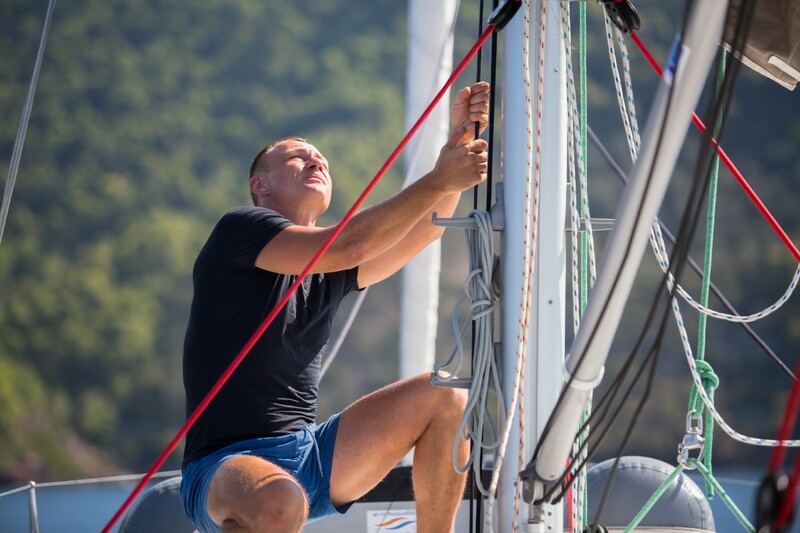 In case of some technical failures, the skipper has to fix them in accordance with the base and technical support. In case of greater failures, the clients have to be informed about the development of the situation while being understanding and patient. Even though skippers are usually able to do every maneuver single-handedly, it is expected that clients give skippers a hand whenever it might be needed. At the end of the day, sailing with a skipper brings along many benefits, but do not overdo with demands – skippers are also human beings with their limits. Do not forget that you do not have a servant on board, but a trusted person who holds a great deal of responsibility not only for the fun part of the trip, but also for your lives.